Click here for details and availability information! Welcome to the Historic Amsterdam League (HAL) web site. The Historic Amsterdam League was established in July of 2010 in conjunction with the celebration of the 125th anniversary of the 1885 chartering of the City of Amsterdam, N.Y. HAL is a nonprofit and nonpartisan citizen based 501(c)(3) organization dedicated to the preservation, promotion, and protection of the physical, cultural, and natural heritage of the City of Amsterdam N. Y. Please take a few minutes to explore our site, check out our publications, drop us a note, ask us a question, explore the links, and make yourself at home. If you like what you see and believe that history and heritage aren’t just what happened yesterday, but are the road that led us to where we are today and the path that can show us the way to tomorrow, consider joining us on that journey - we’d be honored to welcome you as HAL’s newest member! 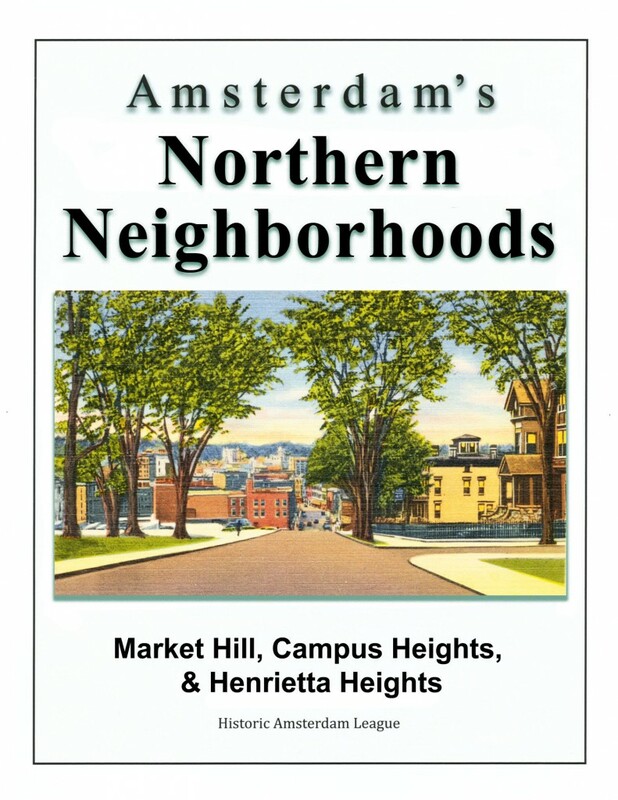 All of the HAL Neighborhood Tour Companion Booklets from 2011-2017 are Still Available! Through a special arrangement with the original printer HAL has been able to obtain limited run reprints of those neighborhood tour booklets which were previously out of stock. All seven prior years, 2011 through 2017, are now available. A second chance to complete your collection! 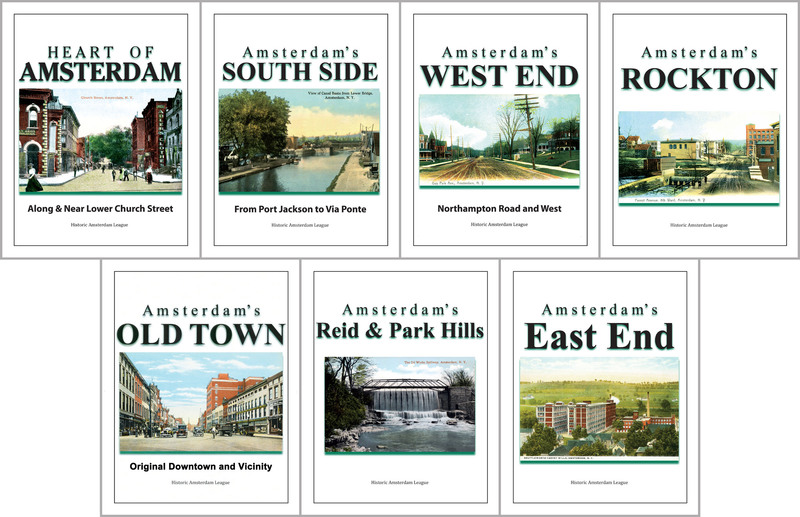 HAL’s Amsterdam Postcard Series now includes 42 scenes – And more coming! 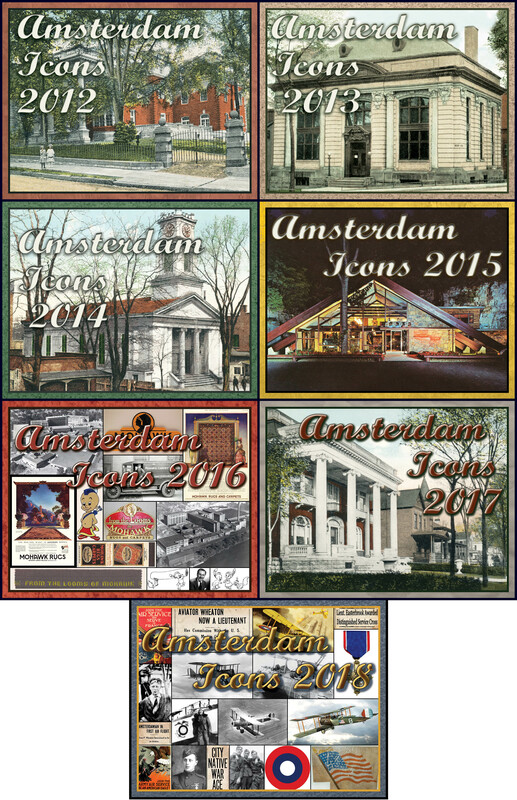 In the late 19th and early 20th centuries there were literally hundreds of postcards of Amsterdam printed. Each year around Thanksgiving the Historic Amsterdam League introduces the new Amsterdam Icons calendar for the coming year. Amsterdam Icons is a full color 11″ x 17″ wall size calendar themed to some aspect of Amsterdam history. Accompanying each monthly illustration is a brief paragraph providing pertinent information and historic facts; the centerfold continues the annual theme with additional relevant text and/or pictures. Scattered throughout the monthly date listings, in addition to the usual holidays and observances, are important, entertaining, and often little known dates from local history. Past year editions with their frame-worthy pictures have been sell-outs and become collector items. 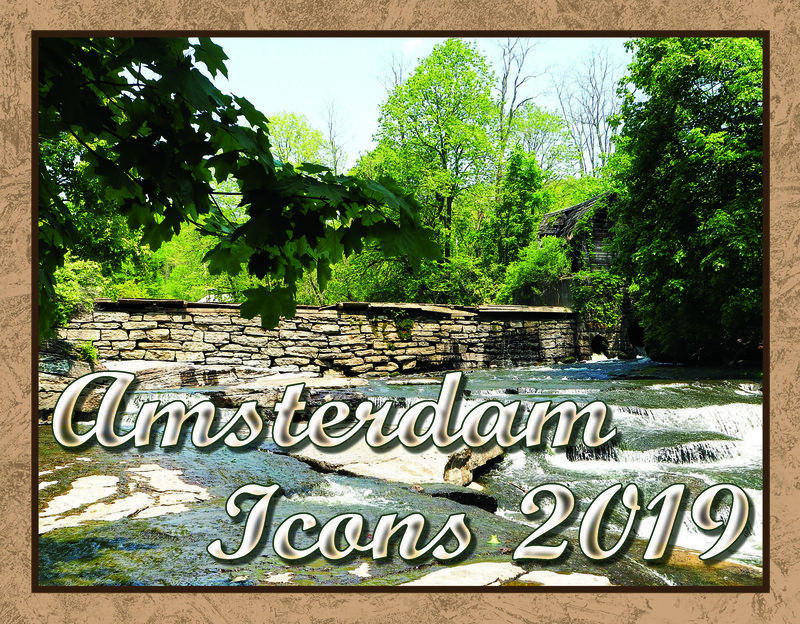 Several previous year Amsterdam Icons are still available.